Fide president Kirsan Ilyumzhinov, in an interview to Olga Pshenitsyna of The Voice of Russia, says Fide is aiming for one billion people on the planet who play chess! The 20th of July is celebrated as the International Day of Chess. This holiday has been initiated by the World Chess Federation. On this day, different themed events and competitions are being held under the auspices of FIDE. On this day, multy-board chess plays are held even in places of detention. Of the 7 billion of the planet’s population, 600 million of them play chess. But Kirsan Ilyumzhinov, the President of the International Chess Federation (FIDE), believes that it is not enough. In an exclusive interview with the Voice of Russia he has told that he was planning to increase the number of chess players in the world to one billion in the next five years. ”I have set the task to increase the number of chess players in the world from 600 million to one billion people in the next five-six years. Our motto is “one billion clever people”. Why have I declared this idea? The reason for everything that is going on in the world right now – I mean wars, conflicts, financial and political crises – does not lie in the fact that there is not enough money, gold, oil or gas. And certainly not in the fact that people are so angry with each other. The reason is that the states and the systems are ruled by short-sighted people who have come into politics by accident. If we increase the number of chess players to one billion people, the critical mass will increase, too. For people belonging to this critical mass the probability of becoming members of Parliaments, mayors, ministers, presidents, and kings is much higher. And thus the number of future incorrect decisions will decrease”. - Chess is being introduced into the school curriculum. What effect can it produce? - In 1993 the President of Kalmykia introduced chess into schools on an optional basis. And after a year it was noticed that in those schools where children were taught to play chess, discipline and test results improved. I was five years old when I learned to play chess. 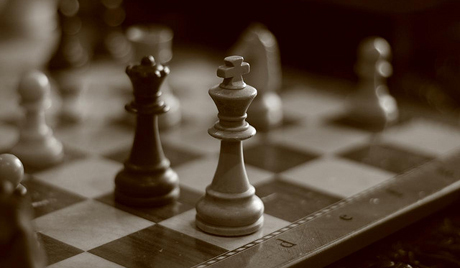 Chess trains our brain and develops both the left and right hemispheres. It is no coincidence that world chess champion Mikhail Botvinnik used to say that chess was a synthesis of science, culture and sport. - What is happening to chess in Russia? - Chess is popular in Russia now, especially with children. When I introduced chess into the schools of Kalmykia, many of my colleagues - governors, and presidents of republics - supported this idea. In Moscow chess is developing as well. Recently I was invited to one of Moscow's kindergartens, where three-year-old children are learning to play chess. Children become more attentive. There is a principle in chess: first think, and then make a move. - Do you know of such cases in history when politicians invited chess players to make some political decisions? - I was 15 years old when I became the champion of Kalmykia in chess among adults. And I became a member of the Young Communist League City Committee. While in the army, I was the champion of the North Caucasus district, and our Party Committee used to invite me to participate in solving political issues. Janos Kadar, the head of Hungary, is a chess player. He was making decisions at the country level. Winston Churchill, the British Prime Minister, while interviewing somebody for a job in the government, was in the habit of asking: "Do you play chess, or not?" He knew that a chess player could calculate several moves ahead. Before signing a decree or adopting a law every politician must calculate how it is going to work, and how people are going to react to it. Therefore, it is desirable for politicians to train their brains, and play chess. - In the past, chess players could only rely on their own brains while preparing for competitions, and now they can’t do without computers. Is there a threat that technology is going to supplant human brains? - Scientists and science fiction writers have already written that one fine day a computer brain would seize power over mankind. We have already reached the level, when a program begins to make original moves. Why has a man used to beat a computer at chess? Because he used to make an unconventional move, and the computer was taken aback. Now computers begin to think unconventionally, and this is a progress. But when a man is playing with a man, he's not using a computer. In this case human brains are competing. But a person needs to develop. And his brain should develop, too. Today a chess boom can be observed in many countries of the world. And programmes of developing and disseminating this ancient game are accepted at the state levels. Even in Mongolia, where chess has never been very popular, two international tournaments have already been held. Chess is taught in schools in Armenia, Azerbaijan, Turkey, and Latin American countries. At the beginning of every academic year, the President of Uruguay presents every first former with a mini-computer containing a chess program. In China children are taught to play chess in kindergartens from the age of five.